This product is a Selina Naturally® Best Seller! 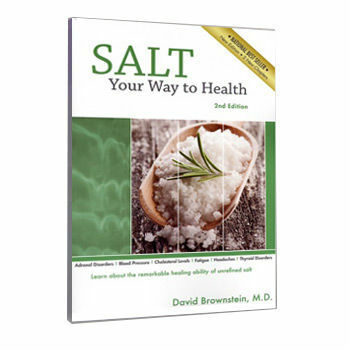 In this groundbreaking new book, Dr. David Brownstein reveals why salt is the most misunderstood nutrient and explores the remarkable healing ability of unrefined salt. Brownstein also explains how adding the right kind of salt to your diet can help a variety of conditions, including fatigue, adrenal disorders, blood pressure, and cholesterol levels. SALT Your Way To Health challenges the conventional wisdom regarding salt and also suggests healthier alternatives to regular table salt. Click here to read and excerpt from Dr. Brownstein's Salt Your Way To Health!